Sonya Jones is Curator of The Thomas Bouckley Collection. This collection of historical images of Oshawa and surrounding areas plays a vital role in the upcoming project held in Downtown Oshawa. In today’s Curator’s View, Sonya shares her experiences working on this project. As the Curator of the Thomas Bouckley Collection, I’m able to discover and learn about the history of Oshawa on a daily basis. It has been an ongoing delight working with this outstanding collection of over 3000 images of historical Oshawa. Every four months I install a new Bouckley exhibition, most often focusing on a particular event, industry, individual, or theme of historical Oshawa. As much as the retelling of Oshawa’s history is important, it’s also fun to look at the collection in a contemporary light, which I try to do from time to time. Contemporary artists have done the same—for example in 2009, artist Brenda Joy Lem’s exhibition Homage to the Heart, explored her family’s history as owners of the first Chinese laundry in Oshawa, and Brenda looked to the Bouckley Collection for images of Oshawa incorporating them into her work. Seeing Bouckley images in contemporary pieces was inspiring. Oshawa’s story cannot be told without looking to the past, which the Bouckley Collection offers a window to. When you visit the 16 King Street East location, you’ll feel like you are entering a 1950s government passport office. You’ll sign some “government” papers (permission forms), get your “passport” photo taken, fill out a survey of questions, and lastly you’ll be interviewed about your memories and thoughts about Oshawa. The whole process will take around 20 minutes. 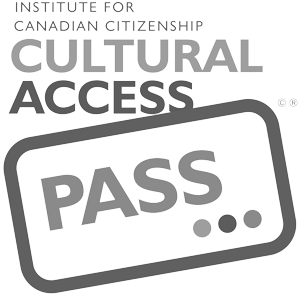 At the end of the week, on Saturday, October 29th, the artist will conduct a Citizenship Ceremony where you’ll get your “passport” which will include a gift of a woodblock print by Heather Cline based on the King St. area. Heather will return home to Regina and begin work on a series of artworks specific to Oshawa and the stories collected with the end result being an exhibition at the RMG from September 1 – October 28, 2012. Be sure to take the opportunity to share your stories about Oshawa, and in turn participate in the creation of a community driven exhibition.